«Deeper pockets and better lawyers» illustrated quotation. Copyright, free quote pictures for Facebook, Twitter, LinkedIn, Reddit, Pinterest and other social networks. 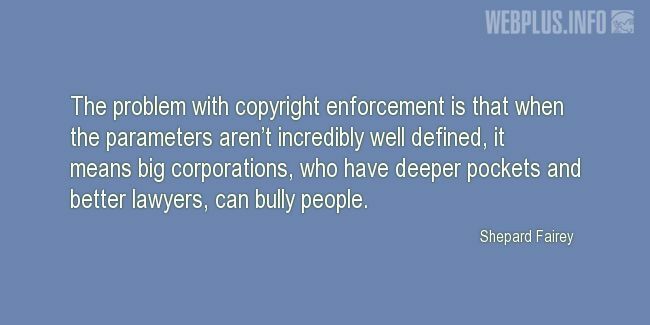 The problem with copyright enforcement is that when the parameters aren’t incredibly well defined, it means big corporations, who have deeper pockets and better lawyers, can bully people.